If you want to attract butterflies to your garden the best plant you can grow there is the aptly named Butterfly Bush. The very pretty flowers of Buddleia davidii, or Buddleja davidii, as it is also spelled, is the perfect ornamental shrub if you want to see these beautiful insects where you live. Of course, it isn’t only butterflies it attracts because at night many moth species will be found feeding on the perfumed flowering spikes too. By day, a whole range of pollinating insects, including honeybees, will be found sipping the nectar in the flowers. The Butterfly Bush flowers are usually a beautiful lilac purple colour but they also come in many other shades, including a deep purple, red, pink, yellow and white. It will grow quickly and can reach as much as 5m in height and will develop woody trunks and branches with scaly and cracked bark as it gets older. Buddleia davidii is named after Father Armand David, an explorer who came upon the shrub growing in Chine, which is where it originated, and it was also found in Japan. There are more than 100 cultivars known, as well as very many hybrids with B. globosa and B. fallowiana frequently grown in gardens. The Butterfly Bush is naturalised in Australia and has colonised most city areas of the UK and central and southern Europe. In America, where it escaped from cultivation and rapidly spread, it is classified as an invasive weed in Washington and Oregon States. Beautiful and useful as the shrub is it can self-seed itself rapidly and will grow in all sorts of places, including cracks in the concrete and in walls. It is often seen springing up, as if from nowhere, on building sites and where demolition has taken place. The Butterfly Bush can grow to as much as 10ft in height in a single season in good conditions. It is hardy and will also spring back to life with new shoots if radically pruned back. The branches are easy to snap and break but it is otherwise a very tough and resistant shrub. It flowers in summer and into the early autumn, and although it is deciduous, the Butterfly Bush will keep many of its leaves well into the season. If the flowering panicles are pruned away or “dead-headed”, new flowers will be produced but these secondary flowering spikes are always a lot smaller. 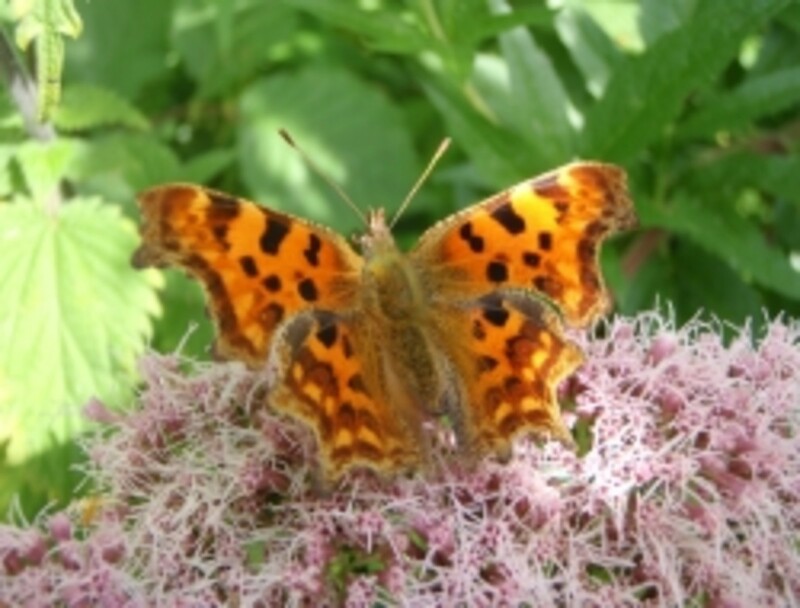 It is still useful to know this though if you want to keep the butterflies still attracted to and flying in your butterfly garden as the year progresses. 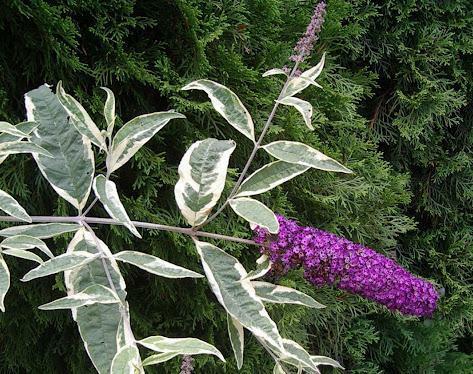 Butterfly Bush seeds are very cheap to buy and readily available on the Internet from sites such as Amazon and eBay, as well as from garden centres and plant nurseries. Most species of butterfly will be attracted to the honey-scented perfume of the Butterfly Bush. In the UK I will always remember being thrilled to see all the ones that turned up on the two large bushes in our back garden. We had a white-flowered Buddleia and a deep purple one. The Small Tortoiseshell (Aglais urticae), the Peacock (Inachis io), The Red Admiral (Vanessa atalanta), the Painted Lady (Cynthia cardui), the Comma Butterfly (Polygonia c-album), the Small White (Pieris rapae), Large White (P. brassicae), and the Green-veined White (P. napi) were all regular visitors. If you were very lucky indeed, you might actually see at least one of each of these on a bush at the same time. That gives you some idea of how many butterflies there used to be in the UK, and I am only going back as far as the 1960s, 1970s and 1980s when there were still lost of butterflies around. Sadly, those days are gone and British butterflies of most species have seen a serious decline. 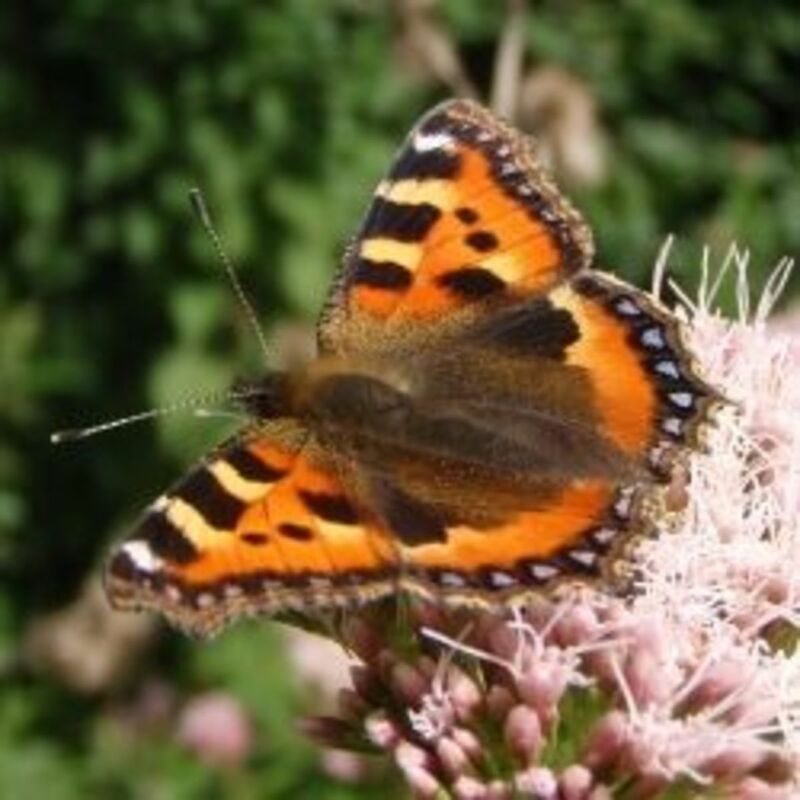 It was common to see several on one large spray of flowers, and you could see, two Small Tortoiseshell Butterflies and one Peacock, for example, all feeding happily together. If you jarred the bush gently you could watch a small cloud of butterflies fly up and then return again to feed. 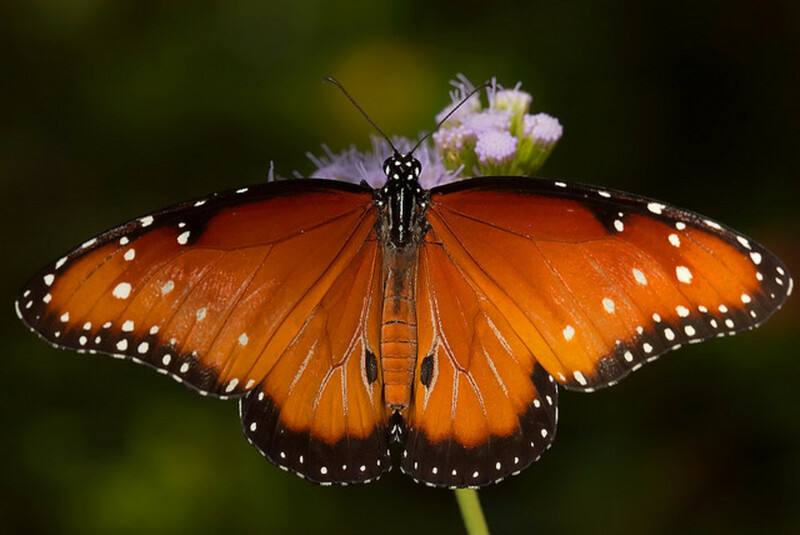 In other parts of the world, depending on what species live there, the Monarch Butterfly (Danaus plexippus) and many Swallowtail (Papilio) species are known to enjoy feeding on the Butterfly Bush too. At night the Butterfly Bush becomes just as alive with pollinating insects as it is by day because the night-flying moths are attracted by the sweet perfume and fly in from all around. The Noctuid moths, such as the Large Yellow Underwing (Noctua pronuba) are very keen on the nectar from this shrub. 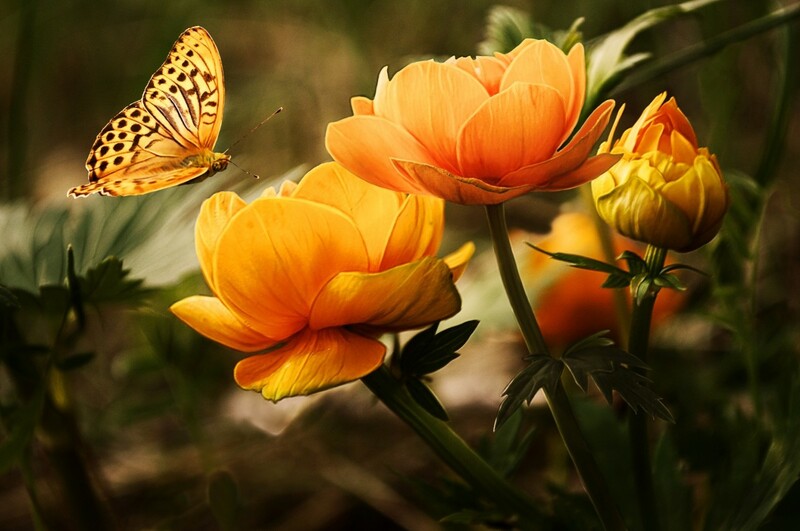 Like the butterflies by day, you will often find several feeding together on the same flowering spike. Most of the Noctuids or Owlet moths have mainly brown or greyish wings but some have interesting markings on them of splashes of colour in the their hind-wings. It is a very large family with species all over the world. Moths from the Geometridae that have “looper” or “inchworm” caterpillars are usually well represented at night on the Butterfly Bush as well. 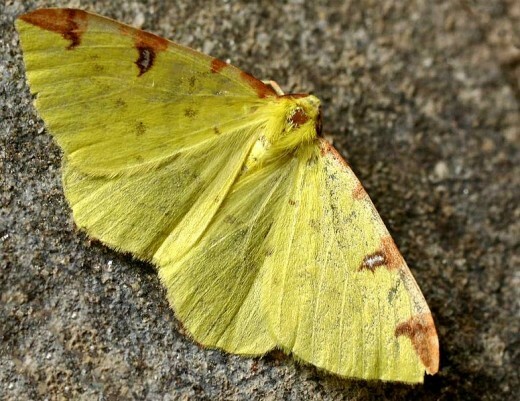 Some of those I have seen feeding on this shrub are the pretty yellow Brimstone Moth (Opisthograptis luteolata) and the large pale-yellow Swallow-tailed Moth (Ourapteryx sambucaria). Both of these moths are easy to spot even in the dark because of the very pale colour of their wings. The Garden Carpet (Xanthorhoe fluctuata) was yet another species of Geometer moth that often feeds by night from the Butterfly Bush. Most moths enjoy the Buddleia’s nectar so much they will stay feeding even when you shine a torch on them. It can be really exciting going out after dark to see what you can spot. Because so many moths feast on the flowers of this shrub it is another excellent reason to cultivate the Butterfly Bush where you live. I remember the butterfly bush in my mom's yard. I loved watching the butterflies fly around the purple and the green. Thanks for reminding me of this beautiful and peaceful image. Thank you, Glimmer Twin Fan, Flashmakeit and Mary615, for your very complimentary comments! You did an outstanding job on this Hub. I have a Butterfly Bush in my yard, in fact , I have many. They just "pop up" all over. 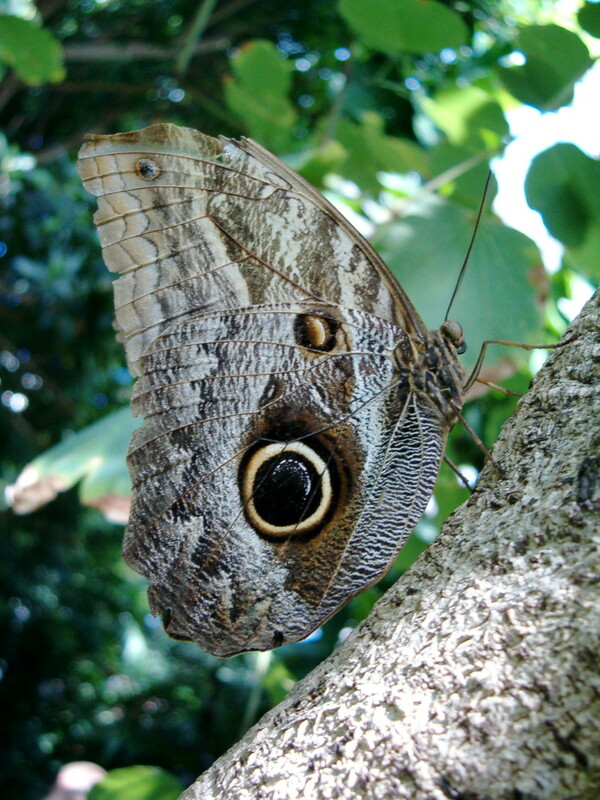 I see my Hub on the life cycle of the butterfly is a related one to this one! We both love the butterfly, don't we? Excellent writing and I think the butterfly bush is exciting flowering plant. You always have such lovely photos Green Bard. We love our buddleia and it thrives in sometimes tough conditions.